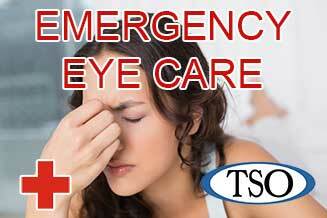 Please walk-in to TSO Rosenberg with red eyes, pink eye, or scratched eyes for immediate attention in Rosenberg, TX. 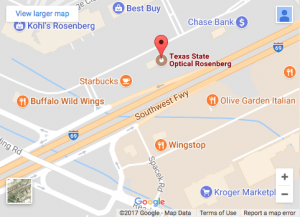 The Rosenberg eye doctors at Texas State Optical Rosenberg believe in looking at the big picture when it comes to your eye health, so we take the time to get to know you, your eye care history and your vision needs. Doctors Montemayor, Schaub and Spragins know that getting the right prescription involves balancing several factors, including clear eyesight, visual efficiency and your ability to process visual information seamlessly. Whether you need a Rosenberg eye exam, an eyeglasses fitting or treatment for eye disease (such as glaucoma or macular degeneration) or eye surgery (such as LASIK or cataract surgery), our Rosenberg optometrists will provide you with the best care, advice, options and follow up. We have used TSO for several years and have always been very pleased with their services. The staff is friendly and helpful from start to finish. Linda Ingram is the best at helping choose frames and fully explaining all your options for your insurance coverage. 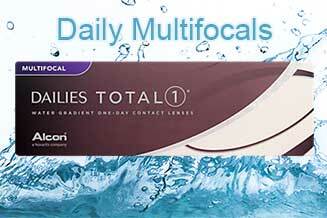 We will definitely continue to visit them for all our eye needs. I love Linda Ingram! She's awesome and made sure I was completely satisfied. Having to relocate is stressful enough but having to find new doctors is even more stressful, so finding this place ....Dr. Roland G. Montemayor and his staff was just a completely stress-relieving day for me. From the moment I walked in the door I was greeted with kindness and knowledge that started at the front desk all the way to the doctor and the technician:-) I could not be more pleased with an eye doctor. I would have to say this is even better than the one I left behind and that's saying a lot. The doctor is so caring and informative with a wonderful bedside manner. They really listen to you and what you want, and the technician that helped me find my glasses just walked over and pick them up based off of my face shape!.!. She was spot-on 🙂 I could not be more pleased and I highly, very highly recommend this office and I will continue to go here. If you I'm looking for a new eye doctor or an eye doctor for the first time you must consider this place. We used them for years with my girls and always been happy. Today they even helped out over the phone to find my insurance info and then helped me check eligibility with my girls to then make new appts for them and myself. When my oldest had a scratched cornea after a surgery (eyes help open during surgery wasn't a good thing...it was on her back so she was face down) they got her in the next day. We love them! I love this TSO location! I've been going to them since I was a kid. I started to go off and on once I reached college age. Now, I drive out there from Katy just because of the experience! I went to a TSO in Katy and had a horrible experience. TSO Rosenberg is worth the drive for the friendly staff and attentive service. I always feel comfortable here and will continue to make the drive for the service! 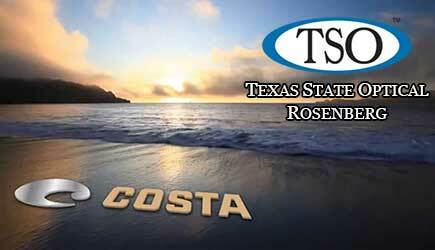 Dr. Theresa Cerreras and the Staff at TSO Rosenberg have been wonderful to me. I received the best results of an eye exam for me in years. Dr. Cerreras realized I had some type of focusing problem and tweeked it out so well, that the glasses are absolutely the best ever. The staff have been so professional and nice, the Texas kind of friendly. And John fit the glasses so well for me when they came in. Two weeks later I had an accident with the glasses (an unfortunate demise; no fault of the eye-ware) and again, TSO Rosenberg came through for me with helping me with the warranty on the glasses. 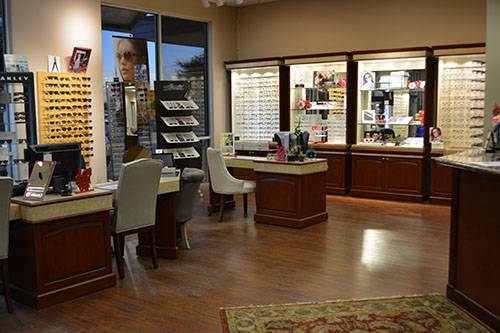 I highly recommend TSO Rosenberg to anyone shopping for a great optometrist and new glasses or contact lenses. My family and I have gone here for years. They have exceptional service and the employees are very personable. 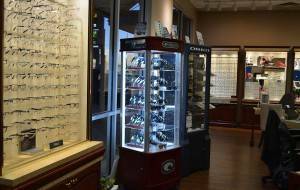 Our Rosenberg eye care center has been serving Texas’ Fort Bend County for more than 50 years. Schedule an appointment with a Rosenberg optometrist to see how we can help you get the best prescription for your eyes. 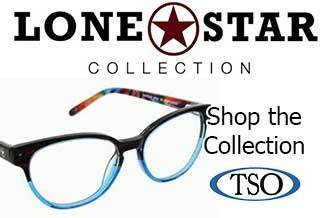 Texas State Optical Rosenberg is proud to service the Lamar Consolidated Independent School District and Fort Bend Independent School District students and faculty with eye doctor and eye care services. Schedule an appointment today! Why should I take a photo of my eye during my eye exam? We have invested in the most current technologies to allow our doctors to see many of the structures of the back or your eyes. Since the eyes can tell us a lot about your general health, we feel these retinal images allow us to scan for both eye disease and systemic diseases like diabetes, high blood pressure and other vascular diseases. And since a picture is worth a thousand words, we know that having this image can help us monitor changes in your eye health more easily. I was browsing Texas State Optical Rosenberg website and came across this page. I thought you may be interested.